Ivanka Trump hit by ethics watch- dog over China trademarks | Daily Express Online, Sabah, Malaysia. 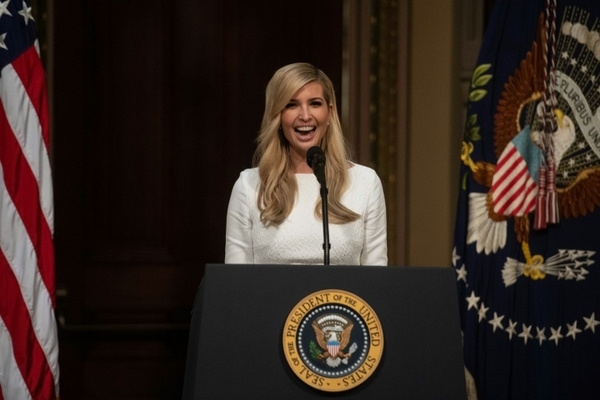 NEW YORK: US first daughter and presidential advisor Ivanka Trump is facing ethics questions after she was granted Chinese trademark approvals for her brands in the midst of a trade war her father is leading against Beijing.Ivanka Trump Marks LLC received preliminary approval for 16 new trademarks in October, according to Citizens for Responsibility and Ethics in Washington, which released documents about the issue and said the approvals raised questions. "Since she has retained her foreign trademarks, the public will continue to have to ask whether President Trump has made foreign policy decisions in the interest of his and his family's businesses," said Caroline Zhang, social media manager for the non-profit group, Zhang said.